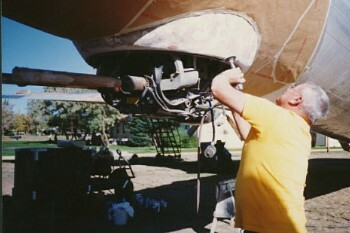 Once #729 was put back together we still had a lot of detail work to do. 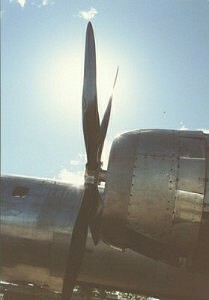 Sheet metal, windows, and paint are just some areas we continually addressed up to the dedication day. 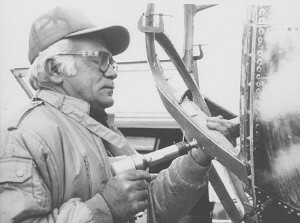 Prepping the nose to get the glass inserts. 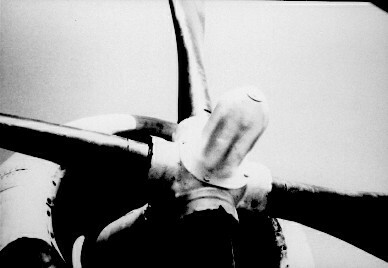 A fiberglass simulated fairing for the aft lower gun. 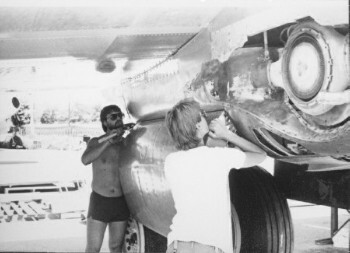 Attaching the right main gear door. We made simulated prop hub covers from ... old fire extinguishers! 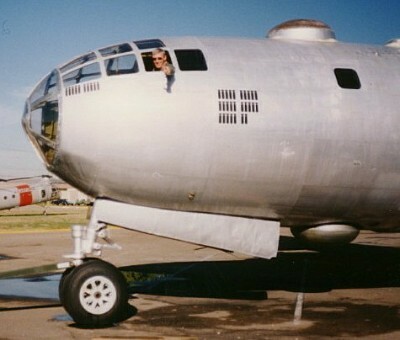 This fellow's sitting where he sat when he bailed out of a B-29 out of India. He was a POW under the Japanese for a few years after that. Waiting for the fog to lift before we tow her to her pad. 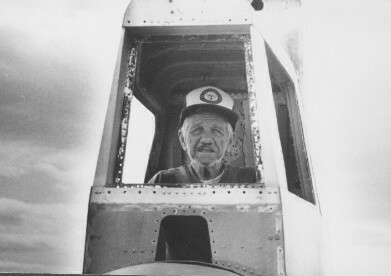 Base Commander Lt. General Tibbets (No relation to Gen. Tibbets of the Enola Gay) rode the cockpit for the tow. The first time she moved on her own wheels in over 30 years. 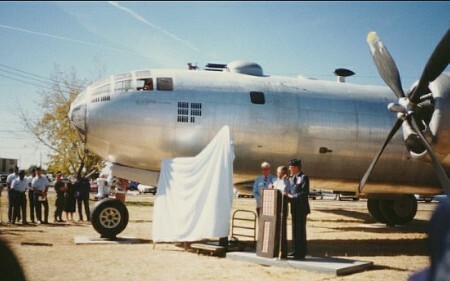 The dedication of T Square 54 on 2 October 87, the 50th anniversary of Lowry AFB.